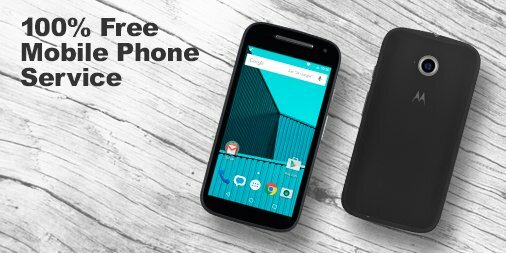 This will be a updated 2017 review of Freedompop a company that provides FREE Cell Phone Service. This tip can save you hundreds off your monthly bills. Are you aware of the many free to very cheap cell services available online? Such as FreedomPop which I have myself and am quite happy with. FreedomPop uses the Sprint and AT&T networks to provide coverage. No contract or commitment and you can Cancel anytime. 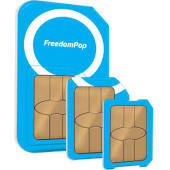 Freedompop coverage - They do CDMA with sprint network plus GSM with AT&T and T-mobile. (I tested out FreedomPop on the AT&T network). Global GSM SIM card is currently on sale for 0.99 Cents! I have seen them as low as 0.01 cent. Better yet you can do what I did and sign up for the sim with a GPT site like Swagbucks and get paid to try to sim out. I paid 99 cents and Swagbucks paid me around $5.00. So I made a profit of $4.00 by purchasing the sim card. Free WiFi calling and texting from anywhere with WIFI. 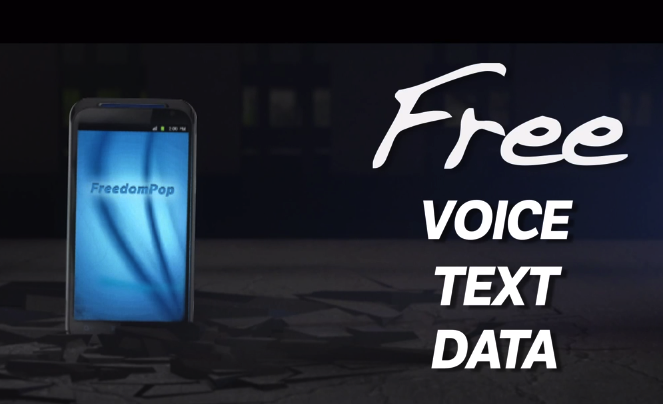 Free unlimited calling and texting between FreedomPop Phones. The Global GSM SIM which I got does work internationally, so FreedomPop is great if you do a lot traveling. Coverage was same as with my Straight Talk plan on the AT&T network. Keep your old number by porting in your old one in. Earn free data by completing partner offers such as what you would see on Swagbucks like printing coupons. Sometimes data speeds were too slow to stream music. When the phone picks up off the T-Mobile towers data is somewhat slower. The LTE AT&T only sim would fix this. 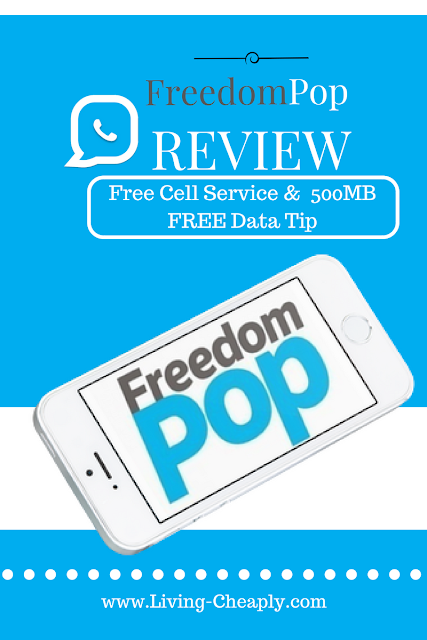 No phone number on the SIM card with the free plan; so you must use an app such as the FreedomPop app to make calls and send texts. I thought the FreedomPop app was very poorly designed. I strongly suggest using an alternative app such as google Hangouts instead of the FreedomPop app. Or best of all now that Freedom pop and WhatApp are partnered. 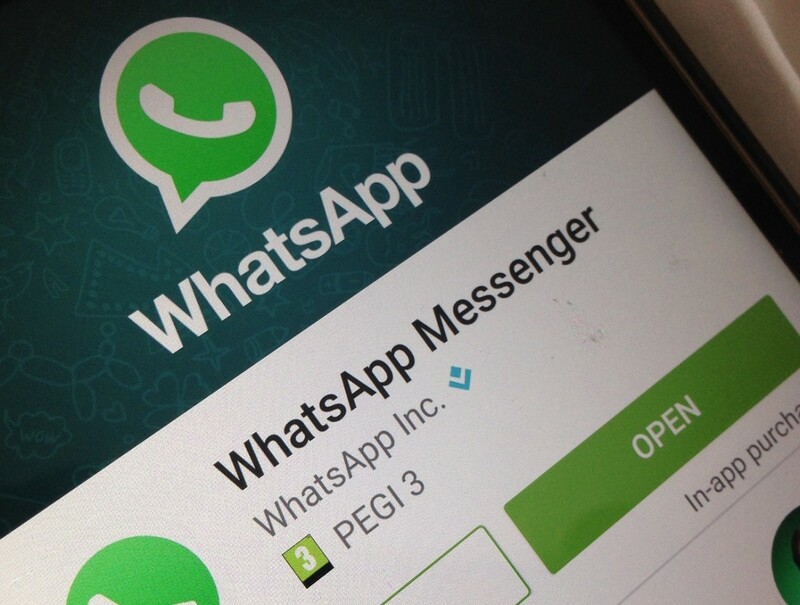 You can use WhatsApp and be charged no data! Data speeds were limited to 3G on the global sim. 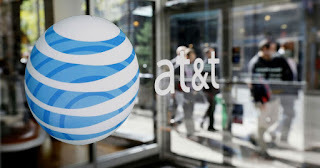 However, they now offer an LTE 4G sim that runs total on AT&t network. Very Important!! : You're automatically signed up for $28 worth of paid services for free your first month. After that, you will be charged the $28 if your don't downgrade your plan. You have until the billing cycle to downgrade your plan to the free or really cheap cell phone plan options. The Free plan includes 200 minutes, 500 texts, and 200MB of 3G data on the AT&T network. From here you can share or request data from your Freedom Friends. If you have multiple accounts with FreedomPop. FreedomPop actually allows you to share data with yourself or friends. Using the Share Data feature you can only move a max of 100MB of data to each friend or account. You are limited to a maximum of 500 MBs of data share with all friends per account. So you could send 100MB to 5 different accounts per month. For example, if you have three accounts as friends, you'll only be able to share a maximum of 300Mbs of data for that month. You also get 50MB of free data per month for every active member you are friends with up to 500MB!!!! All your have to do is add someone's email or click on their link to add them as a friend. If they accept you as a friend you have just earned 50MB of data as long as they are active and don't remove you from their friend's on FreedomPop. Making things even easier SlickDeals has a post for finding FreedomPop Friends HERE that allows you to find Friends on FreedomPop. I posted my email there and by the next evening when I checked to see if I had been added by anyone. I had already far exceeded the max I needed for 500MB of free data each month! 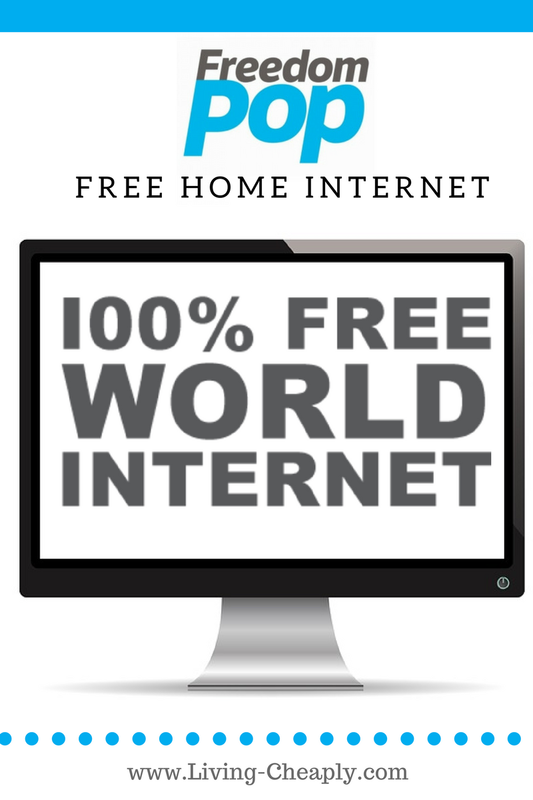 FreedomPop also has a FREE Home Internet Plan for those of us on a tight budget. You will have to pay a mobile MiFi device or hotspot device. These devices come with a 30 Day Money Back Guarantee. This means the price of your device is refundable if you decide for some reason before 30 days you do not want to continue using your hotspot or MiFi device. 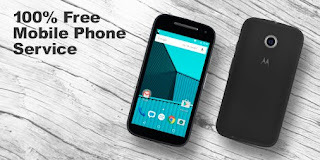 Like with the Freedompop cell service, the basic plan includes 500MB of data FREE each month. As with the mobile service you can earn additional data by doing offers like surveys. Connecting with friends will also earn you even more free data. Important Tip: You can be changed an automatic top-up fee if you do not opt out of this Freedompop feature. If you do not have an account you will not be able to browse for hotspot devices on Freedompop. After signing into my account Freedompop gave me the options to purchase 10 different devices. Devices ranged in price from $29.99 to $129.00. These devices were also a combination of refurbished and new devices. The cheapest refurbished device was $19.99 and the cheapest new device was $39.99. The cost of shipping the device cost an additional $9.99. However, for me on my home page, Freedompop offered me a hotspot for $19.99 and Free Shipping. If I were to guess this offer is available for almost everyone who signs up for an account. The same device was $29.99 and had $9.99 shipping when I want to the shopping tab and selected hotspots. 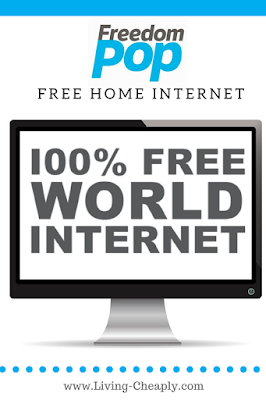 FreedomPop has three different home internet plans to choice from. FREE Plan called the Basic 500MB. This plan only works on 4G. So if you do not have 4G in your area this plan will not do you any good. You will also be charged $0.02/MB for any extra data used. $3.99 plan called Pro 500MB. Your first month will be Free. This plan allows you to use 3G and 4G. If you only have the 3G coverage you may want to take at look at this option. Otherwise, you would be just throwing your money away. Extra data will costs $0.02/MB on this plan as well. $19.99 plan called Premium 2GB. Your first month is Free with this plan as well. This plan comes with you guessed it 2GB of data. Like with the Pro 500MB this plan is both 3G and 4G. At $0.015/MB Extra data costs only 3/4 of the price of the other two plans. Remember you can easily add additional data by doing the steps above to all these plans. The bottom line: If your go with the free plan I strongly suggest you use this plan with WhatsApp to essentially get free unlimited talk and text. Remember with the partnership Between WhatsApp and Freedompop the data used for calls and texting are free and do not count against your plan when the are made with WhatsApp. In closing, if you are interested in Signing up for Freedompop your welcome to do so with THIS LINK. This will add me as your friend. I am already well past my max so this won't help me. But I don't care to add you to help you out. You will get 50MB from this per month as long as I keep the service. But I will highly suggest you use my SlickDeals Tip I mention earlier in the post to easily get the full 500MB Free.